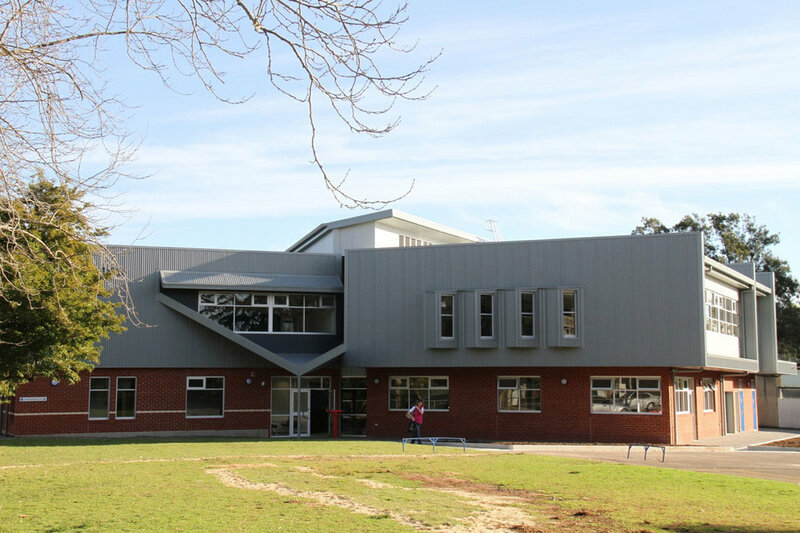 Flightpath prepared a Master Plan for the school campus and identified a number of key projects including the new Library and Administration building, an Activity Hall, Classroom refurbishment and Out of School Hours Care relocation. 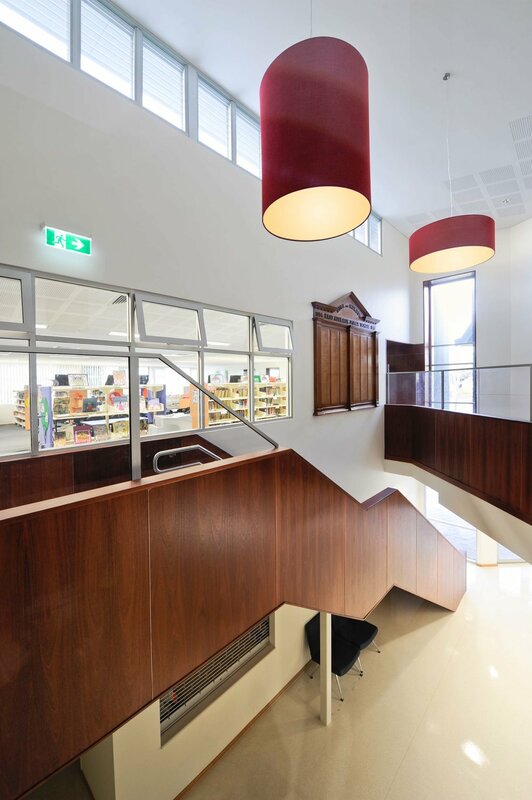 The building is two storey with a central lift servicing the first floor Library that enjoys north facing views captured in window seats that overlook the playing fields. 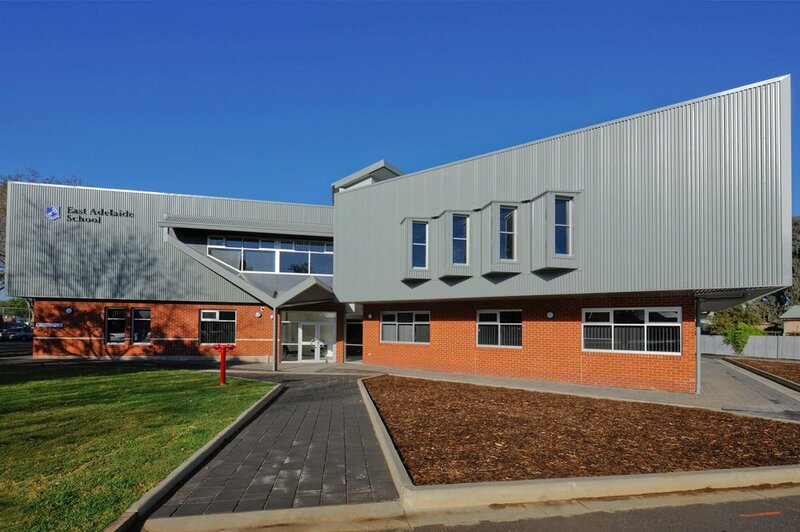 The upper level is metal cladding that sits above a red brick Ground Floor area. 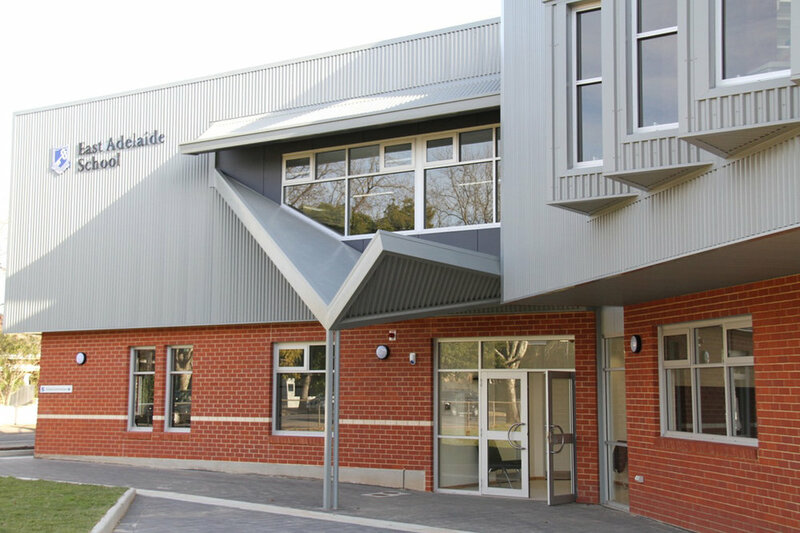 The building is connected at both levels to the adjacent school buildings. 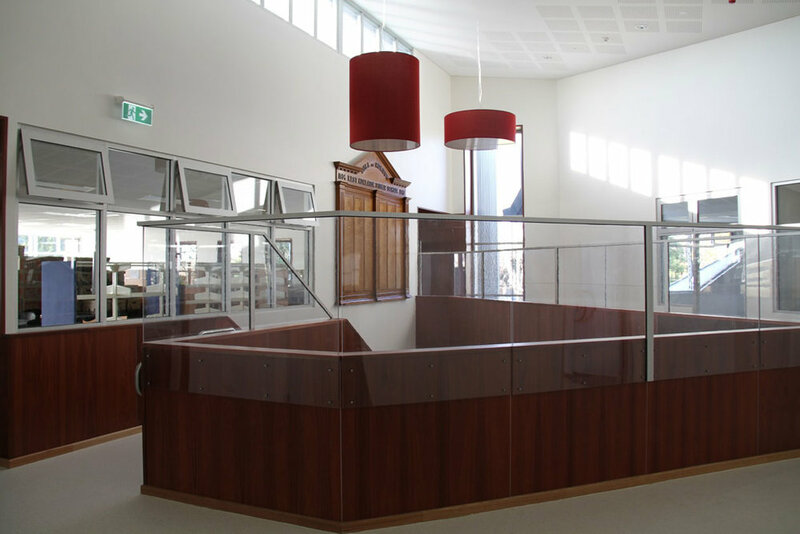 Internally the staircase and honour boards provide a distinguished feature to the school hub. 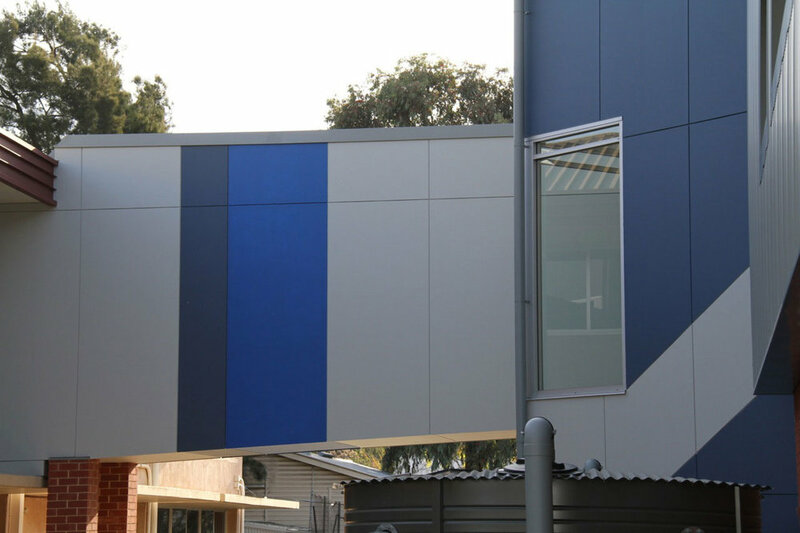 Constructed on time and within the budget, the building fulfils its accommodation and functional brief.